WAKEFIELD, Mass. 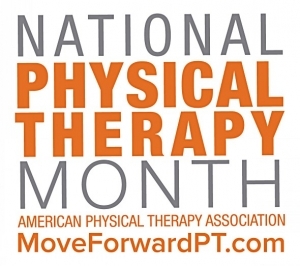 - Oct. 10, 2018 - PRLog -- National Physical Therapy Month is celebrated each October to recognize how physical therapists and physical therapist assistants help transform society by restoring and improving motion in people's lives. However, transforming lives does not stop at the clinic, we also reach out to our communities and look for ways to give back. This October, HD Physical Therapy is thrilled to recognize National PT Month by again participating in the movement called "Global PT Day of Service," on Saturday, October 13th. Global PT Day of Service (PTDOS) began as a thought that, what if, on the same day, clinicians, students and associated staff of the physical therapy profession volunteered in different communities all around the world? What if, they then shared those moments and acts in a way that was galvanizing, inspiring and promoted connections all over the world? PTDOS would give the physical therapy community the unique chance to unite and contribute to something that would impact the lives of everyone involved. As a way to reach out within the community, HD Physical Therapy will exhibit at the Wakefield Healthy Living Expo this year. The event is this Saturday, October 13th, from 10am-1pm at the Americal Civic Center, 467 Main Street, Wakefield. It is a free, community, family event! There will be a flu clinic, information sessions, speakers, child safety I.D. cards, health screenings, kids' games & activities, healthy living services, nutrition, lifestyle & fitness​ resources, plus an appearance by Blades, the Boston Bruins mascot! "Global PT Day of Service presents an amazing opportunity for our HDPT family to join together and actively make a difference in our Wakefield community. It's always extremely rewarding to be able to help, educate and inspire our neighbors," says Glenn D'Addario, MSPT, DPT, HD Physical Therapy's co-founder. "As pledged participants in PTDOS, this event provides us with the perfect platform to be of service to others." HDPT Wakefield & Burlington are both open from 7am – 7pm, Monday through Friday. There are NO waiting lists for new patients, and same day appointments and free injury screenings are always available. We are conveniently located right off major highways; we accept every health insurance plan and work with you to create a smooth and hassle-free rehabilitation experience. At HD Physical Therapy, we are committed to the health and happiness of our patients. Everyday we work to restore each person's maximal function with consistency and compassion. Offering distinctive, inventive and proven rehabilitation treatment, our devoted professionals strive to deliver a successful and enjoyable experience to every patient we meet. For more information about HD Physical Therapy, please visit https://www.HDPTonline.com and follow us on all social media.